With all the chest-thumping going on in Nashville today, where bluster and swagger have replaced heart and soul, you half expect some of country music's male stars to be sporting bruises. Which is what makes Midland, a trio of friends based in Dripping Springs, Texas, so undeniably refreshing. 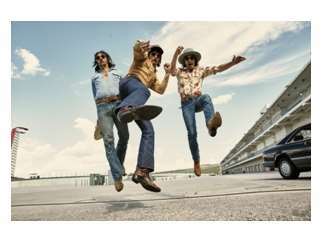 Made up of singer Mark Wystrach, lead guitarist Jess Carson and bass player Cameron Duddy, Midland is the embodiment of Seventies California country, all smooth Eagles harmonies and heart-on-your-sleeve lyrics. Their songs are intoxicating country sung with the twang of George Strait. Cost: $40 for general admission lawn or standing room, up to $200 for VIP seating.